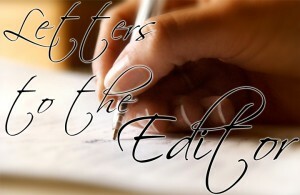 Home » Traffic » Letter to the Editor: Public Transportation System with privately owned and operated small electric buses!! I would like to thank the San Pedro Sun for posting my letter about the need of a public transportation system for our island and for a better future for Ambergris Caye. Please allow me to follow up with some more specifics and my detailed thoughts about a small public transportation system, dearly needed for Ambergris Caye. This week I was approached by a patient of mine, a good friend who is also a taxi cab owner on our island. He also heard that the island would be in urgent need of a better traffic solution. He learned that the hard way from several tourists he had transported in his taxi. They had told him that driving a golf cart is not fun anymore for tourists but rather feels uncomfortable and sometimes dangerous during heavy traffic hours. He also brought up his personal concerns and the concerns shared by other taxi operators, the 200 taxi owners on this island. He thought that a public bus transportation system would possibly cut into their profits and might even put some taxi owners and their families at risk. As common in many tourist destinations and town and cities throughout the world, small buses would be individually owned by private operators but within a publicly, town organized system. On our beloved island we would have taxi owners switch over, from being taxi owners to becoming electric bus owners (rather than purchasing another, next, new taxi cab). One small bus would seat about 15 to 25 persons and could be owned by one, two or even three individual owners, shared and being operated in three shifts: 6am to 12 noon, noon to 6 pm and6pm to midnight. * The bus will seat more persons than a small taxi or any minivan taxi. * The bus is operated continuously, back and forward without down time or waiting time (at the water taxi terminal or airport). * As a bus owner you'll earn money transporting vacation guests and locals in both directions, while as a taxi operator you would most likely have an empty taxi drive back and earn nothing for your way back. My proposal would not eliminate any current taxis. My bus system would surely stop any further taxi expansion and slowly convince taxi owners --once their taxis have become too old for tourism use-- to switch and rather becoming new small bus owners instead. Such system has been proven successful around the world as being more profitable and being financially more successful than any taxi system for any community. You would earn more money in 6 hours driving than currently on a full day of work with your old taxi. Naturally, as a small bus owner you'll have more passengers and both directions. There would surely be less traffic on our roads while transporting the same number of people, tourists and local population alike in a quiet, enjoyable and safe way. Our town would just regulate general pricing (in a same way as the current taxi pricing, making sure that bus owners earn plenty and locals and tourists get a fair price for their ride) plus regulate the overall time schedules for each bus owner; basically just co-coordinating our island's new and emerging bus system. Each bus owner would pretty much keep the fees as his own profit and earn even more than before with less time. More people on board on a bus means more money for the operator/owner! No taxi operator would be left behind but would be given the opportunity to upgrade to higher income as a small bus operator. A small busing system has been proven successful in all part around the world, equally beneficial for the general population but extremely successful for tourism. Especially if these buses are electric powered, quiet and exhaust free and in the size seating about 15-25 persons. Tourists will love it. You jump on the bus at your hotel and get out in town, stress free and safe. The enclosed pictures show electric, exhaust free and quite shuttle buses seating 15 to 23 passengers; ideal for Ambergris Caye's long term future as a tranquil and prime tourist destination. This is what our island is in dear need of and to presenting our vacation destination in an environmentally friendly, calm and modern oriented destination. This is what tourists want and what we will be needing to grow our island in a responsible and tourist friendly way. Our school kids and their parents will love it too. The costs for each small bus are US$15,000 to US$25,000 per bus, brand new. I might even suggest to include a bicycle rack in the rear to accommodate bikers (locals and tourists) to jump on board during hot summer days. I think the enclosed picture of the proposed bus, was left out. Great idea! And where is the photo?